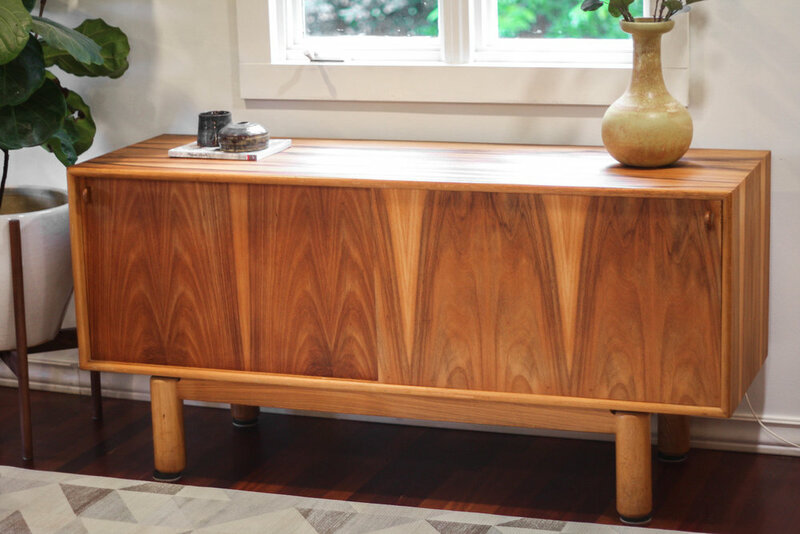 We are lucky to have this insanely gorgeous teak/rosewood sideboard with highly contrasted grain patterns. I mean check out the pictures of the top to see how stunning this is. The two sliding doors feature unique half-circle pulls and reveal a generous cubby space with interior shelving. Fully finished backside means this piece can float in the middle of the room if desired. As noted by the photos, this piece shows beautifully and is in very good condition. 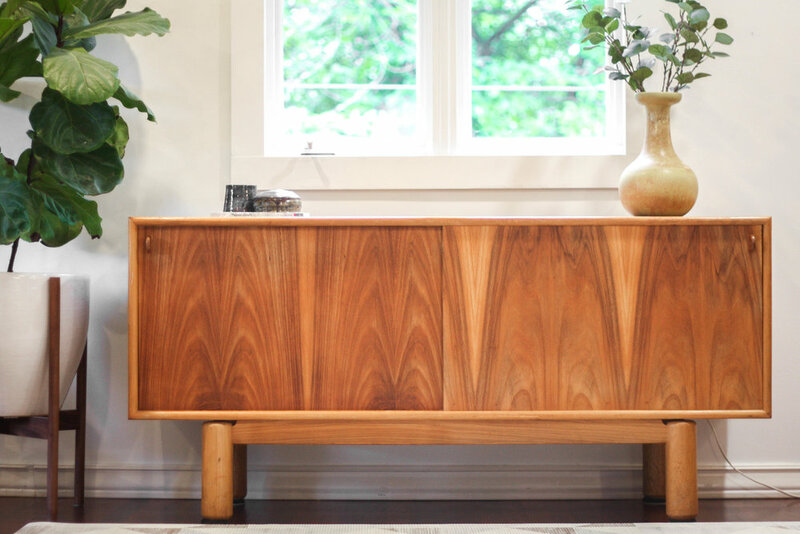 Light signs of use expected with any vintage piece, minor imperfections in spots. 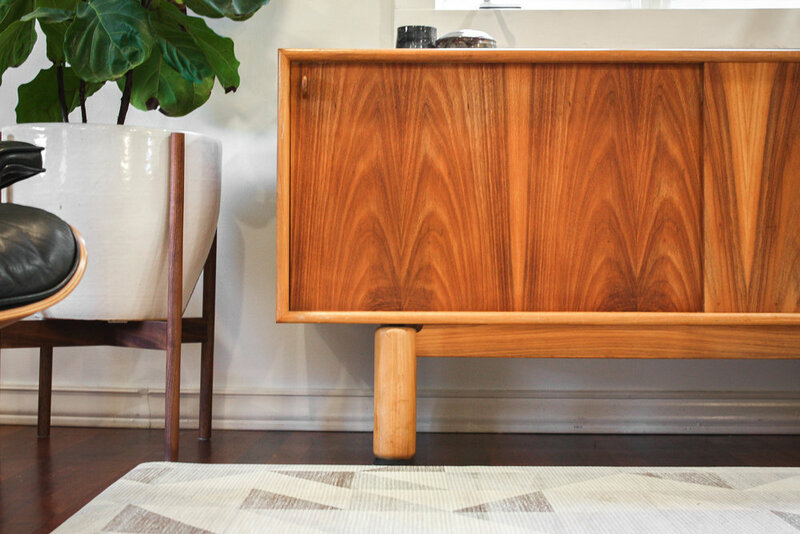 Unless your houseguests inspect every square inch of your furniture, the few blemishes this sideboard has would not be easily noticed. We took photos from all angles so you could see quality and condition for yourself.